Jaguar - I Say Ding Dong Shop - Buy Stickers, Decals & Unique Automobilia. 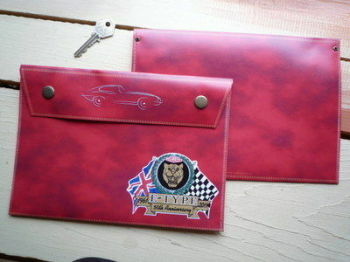 Jaguar E Type GREEN, BLACK or RED Document Holder/Light Toolbag for A4 size. 14". Jaguar XK120 Black Document Holder/Light Toolbag for A4 size. 14". Jaguar XK120 Green Document Holder/Light Toolbag for A4 size. 14". RAC Lombard Rally GB Black Document Holder/Light Toolbag for A4 size. 14".